Was ISIS behind Chechnya terror attack? Russian political and security experts do not rule out the involvement of the Islamic State in the Oct. 5 attack in Grozny that killed five policemen and wounded 12 others. The suicide bomber has been named as19-year-old Apti Mudarov, a resident of the city’s Staropromyslovsky neighborhood. Mudarov had been missing since leaving home about two months ago, and his family had no idea of his whereabouts. According to Mendkovich, the most terrorists from the Caucasus can do is establish contact with ISIS representatives via the internet - therefore it is too early to speak about a serious penetration of Russia by radical Islamists. 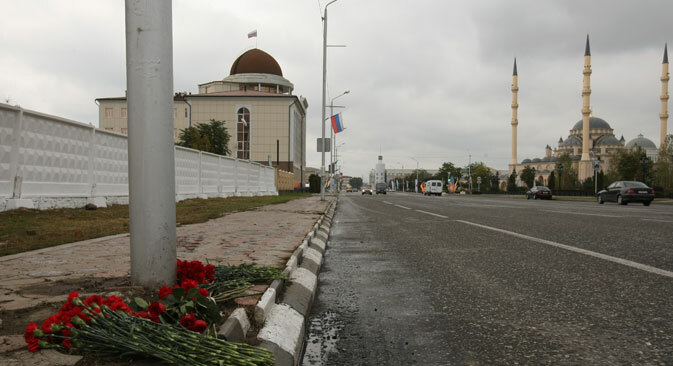 However, Sergei Markedonov, a political analyst and professor at the Faculty of Foreign Regional Studies and Foreign Policy at the Russian State Humanitarian University, believes that there is still too much speculation around the terrorist act in Chechnya and it is therefore too early to draw conclusions. "We have little information about ISIS activity in the Caucasus,” said Markedonov.“It is still not clear whether the terrorist act in Grozny was some kind of signal for the republic's government or for Russia in general."